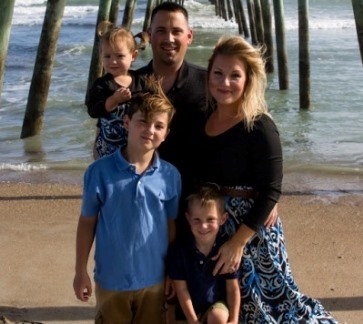 Five year old August had a cancerous brain tumor removed in late June while his dad was urgently flying home from his Air Force deployment in South Korea. The family is together again in North Carolina, but has just one older car that has no air conditioning and almost 200,000 miles on it. August cannot get overheated and the 45 minute drive to bring him to the children’s hospital in the summer heat is a big concern for the family right now. They really need a reliable vehicle, but don’t have the funds for it with all of their other added expenses during this difficult time. We would love to bless this sweet family with enough for a reliable used car with air conditioning. Please keep August and his family in your prayers and consider making a donation to help them. Every dollar donated will go directly to their transportation needs. We are thrilled to inform you that a very generous donor has given August’s parents an almost new vehicle to fully meet this need. This family will still have additional expenses as they continue through the coming months of treatment for August, so we are keeping the campaign open for people to continue to bless them.